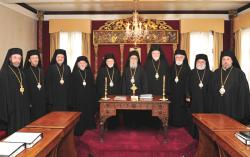 The Holy Eparchial Synod of the Holy Archdiocese of America convened its regular spring meeting on April 25 and 26, 2012 at the Synodal chamber of the Holy Archdiocese in New York, with His Eminence Archbishop Demetrios of America presiding and the participation of all its members. 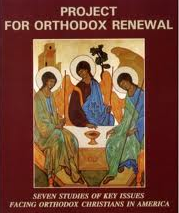 The day before the official convening of the Synod, April 24, the members of the Synod completed the English translation from the original Greek text of the Divine Liturgy of St. John Chrysostom which will be submitted to the Ecumenical Patriarchate for approval. 1. Special aspects of pastoral care and administration of the Holy Archdiocese of America related to clergy and laity. 2. Subjects related to the education and training of candidates to the priesthood. 3. The upcoming Clergy-Laity Congress of the Holy Archdiocese of America in Phoenix, Arizona. 4. The continuing effort for assistance to needy individuals and families in Greece, beyond the assistance in the amount of $500,000 offered already to the Archdiocese of Athens, which will be used for specific relief programs. 5. Contribution to programs of pastoral care for patients in hospitals. 6. 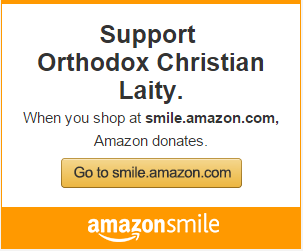 Issues of inter-Orthodox relations and activities.